Prominent Ears and Defects – Why Ear Otoplasty Surgery ? Otoplasty is an ear surgery to correct prominent ears. It basically involves pinning back the ear protrusion so that a patient’s facial balance is corrected and the patient gets a normal pair of ears. 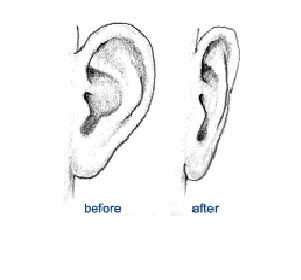 Otoplasty is not just restricted to ear pinning, it involves reconstructing ears that suffer from congenital damage or in cases where the ear structure has suffered damage due to physical trauma or injury. Medically, otoplasty surgery can be carried out in the following cases. Cat’s Ears: It’s a condition defined by distinct ear protrusion. This can be corrected through Otoplasty. Stahl’s Edge: In this case, prominent ears are caused by the fact that the upper edge of the ear is extremely pointed as compared to the normal rounded edge.